The company that was so kind to provide us with the entertainment was The DECC Company. Fortunately for everyone that worked in the laundry where this panel used to live, DECC used their magical powers and coated all the panels from that dryer, as well as all of the rest of the commercial dryers in their facility, to help ensure this nightmare doesn’t happen again. So what exactly is dryer panel coating? 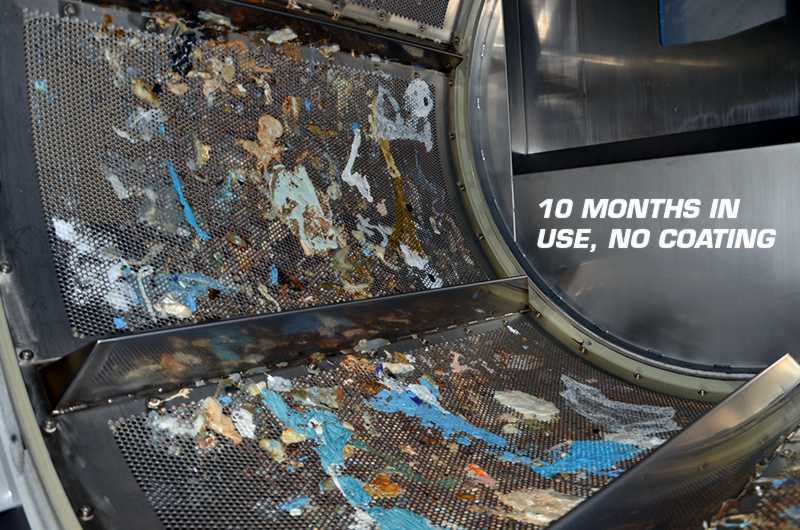 According to DECC’s website it’s “an abrasion resistant release coating for dryer panels.” It essentially turns the dryer cylinder into a nonstick surface making it much easier to clean. 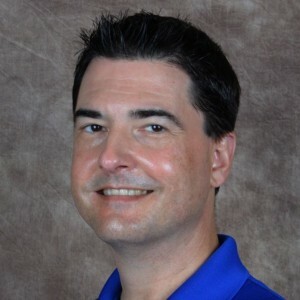 Wanting some more information, I called DECC and spoke with Mike Michalak. He explained that once dryer panels have been coated, plastic no longer sticks to the drying cylinder. However, the plastic does melt through the perforations in the cylinder and stick to itself, but that is why they coat both sides of the drying cylinder. Mike told me that during the “period of time the coating is on it drastically reduces plastic sticking” to the drum. Now that we have a clearer understanding of the coating let’s look at why you need this. 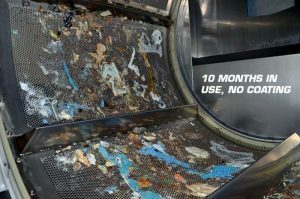 The big benefit is that plastics will no longer stick to your drying cylinder – but why is this important? Once plastic sticks to the cylinder, other debris will now stick to the plastic. You’ll be left with a big mess just like the one we saw at the Clean Show. 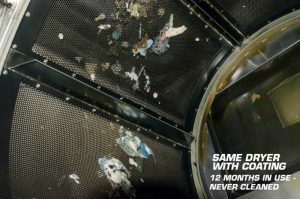 If your dryer is covered with plastic then the dryer’s efficiency is compromised. The perforations in dryer cylinders aren’t there just to make it look cool and neat but to allow air flow. If they’re blocked with plastic, air flow is greatly reduced and dry time has to be increased to compensate. The coating allows for less dry time which means less energy costs. But, you may say, this will increase the cost of my dryer. Yes, there will be a slight increase. However, your overall costs will be decreased through a decrease in both down time and labor costs, and less down time equals more production. Add the increased dryer efficiency of coated cylinders over non-coated and you could see a return on your investment fairly quickly. WOW! I really like this stuff! Is it for everyone? I did ask Mike if there were cases where they wouldn’t recommend coating. He told me that coated panels aren’t a good fit for applications that see a lot of metal in the dryer. He used the example of drying jeans. They have zippers, metal buttons and metal rivets that would hit against the coating and degrade it quicker. Mike said that one great fit is in the healthcare industry, but typically that is the industry that deals with the plastic problem the most anyways. He also said that the coating works great on stainless and other types of steel but they don’t recommend using it on galvanized. We all look for ways to work smarter, not harder, and coating dryer cylinders is one easy way to accomplish that. A big thank you to The DECC Company for the amusement and information and to Mike who was nice enough to take time to speak with me. Great stuff! Do all B&C dryers ship with coated cylinders? Coating is optional on our DI Series with removable cylinder panels. It’s mainly to prevent so much adhesion of plastics in a large hospital application. Coating can make a big difference.